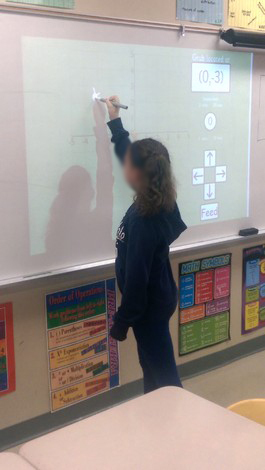 My students and I love using the interactive whiteboard. The students can manipulate shapes and figures, play interactive games, and make some awesome presentations. Thanks, IPEVO! The wish was originally made on Jan 14, 2014. IPEVO VZ-R HDMI/USB Dual Mode 8MP Document Camera IPEVO VZ-R HDMI/USB Dual Mode 8MP Document Camera captures all your material－documents, textbooks, artwork, devices and 3D objects－and streams real-time images directly to your TV. It is also compatible with most projectors and monitors with an HDMI input. Or, you can use it with your Mac, PC or Chromebook via USB. (1) April Wishpool is opened to US wish makers only. (2) IPEVO reserves the right to change or replace the gifts without prior notice.